In digital marketing, organic search is the heart of marketing because of its focus on and understanding of user intent, making an SEO specialist or expert a highly important marketing role. Search engine optimization experts are responsible for more than half the traffic on an average website, bringing in about 51% of all your site’s visitors. Considering that sites which manage to secure the top five positions on the SERPs receive an estimated 67.6% of clicks, it is clear that earning a top rank can have a tremendous impact on your business growth and revenue. It is possible, however, to begin the process of becoming a SEO expert from your desk chair. In fact, a few key steps can help you remain abreast of the latest developments and help you become a competent SEO marketer, benefiting both your organization and your professional aspirations. Before even starting to think about SEO, the first step you need to take is to familiarize yourself with how search engines work.For many people this may be something that they already know (or think they know), but it’s always good to start with the basic concepts and then work your way up to the most complicated theories.The resources below will help you understand how Google search engine works, which is similar to how other search engines work too. Before getting your hands dirty, you should have a general idea about all the different disciplines that make up search engine marketing and digital marketing and not just SEO.You should have clear in your mind what to expect from SEO and what other tools you can use in conjunction with SEO to make your Internet presence stronger. SEO is not just about keywords and links, it’s much more than that. The true mission of SEO is to provide users with a great experience and give them exactly what they want.Your goal is not just about getting more search engine traffic but it’s about turning that traffic into recurring visitors and customers. Once you start learning SEO, you will realize one thing: There is too much information about SEO on the Internet and so many things to learn and this at the end creates a mess.If you decide to do this on your own without any help, you will end up with an endless list of articles to read and things to try out. It took me years to learn SEO this way because back in 2000 when I started, there were no SEO training courses or guides you could read and ave all the information in one place.Nowadays things are different. People wanting to learn SEO fast can do so by following a reputable course without having to spend endless hours searching the Internet and reading article after article. The Complete SEO Course –Our own SEO course has everything you need to know about SEO. It covers both basic and advanced SEO concepts. You can take the course online or download the material as PDF and learn at your own pace. It is the only SEO Course you’ll ever need to read. Google Digital Garage –Google has created a new set of courses covering everything you need to know about Digital marketing. They don’t go into the fine details of SEO but they are a great resource if you want to familiarize yourself with online marketing. Moz SEO Course –Moz is company famous for their tools but they also created an SEO course which covers the basics of SEO. It’s not complete but it’s a good start for beginners. SEO Guide -This is another guide from Google. It covers SEO from Google’s perspective. This means that you will not learn what actually works for SEO but what Google wants you to learn about SEO. Nevertheless, take a couple of hours and go through the guidelines, there are some good pieces of advice worth thinking about. Search Engine Roundtable –A must follow website by all SEO experts. Daily news about everything that is happening in the SEO industry. For me this is the most valuable and useful SEO news website in our industry. Search Engine Land –One of the oldest websites in the SEO industry. Previously owned by Danny Sullivan, now he works for Google. Google Blog –Google recently established a blog for sharing news related to Google products. They occasionally share news about Google search as well. Google search blog –a blog by Google dedicated on Search. Google Webmasters Blog –the official Google webmasters blog. Follow to get news about the latest changes in search. 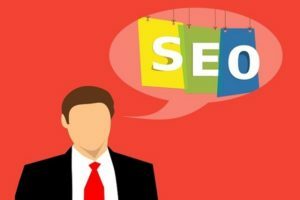 Reliablesoft SEO Blog –Our own SEO blog. It is updated on a weekly basis with guides, step-by-step articles and resources to help you practice SEO efficiently. Google Webmaster Tools (Free) –Google webmaster tools is perhaps one of the most useful tools for SEO. It is free and it can give you a lot of information about your website. Read my previous guide on how to use Webmasters tools to improve your SEO. Google Analytics (Free) –Another free tool by Google. You can use Google analytics to learn a lot of things about your traffic and how users navigate your website. There are a lot of reports to explore and many metrics to analyze. This article, Google analytics for beginners, is a great place to start. SEMRUSH (Paid) –This is my favorite SEM tool. It’s not free but you can use it for your SEO, PPC campaigns, competitor analysis, keyword research, link building, social media monitoring and many more. It is updated frequently with new features and it’s one of the best investments you can make for your SEO. Ahrefs (Paid) –An alternative to SEMRUSH. It comes with a monthly subscription but it’s also one of the most respected SEO tools in the industry. Comes with a 7-day free trial so you can test it out before buying. The problem is that each website is unique and what works for one website may not be the best solution for others. That’s why it is necessary to actually practice SEO and not just stay theoretical.Reading case studies on how others have managed to succeed with SEO campaigns it’s a great way to get new ideas you can use and the inspiration you need to keep trying until you get SEO right. They say that one of the best ways to learn something is to try to explain it to other people. This is true with SEO as well.I have learnt a lot of things and improved my SEO skills considerably when I started writing about SEO.My recommendation is to start an SEO blog or a personal blog and share your SEO experiences with other people.Over time you will find that sharing knowledge is a great way to learn new things about SEO and at the same time you help other people, which is a highly rewarding experience. There is no way to talk about SEO and not mention the word “patience”. SEO takes time to work and you shouldn’t rush into conclusions too soon.SEO is not the quickest way to increase your traffic. If you want immediate results then try PPC campaigns. SEO is about creating a long term sustainable business by building a solid foundation that will get you organic traffic 24/7 for years. Before making any SEO related change to your website you should take note of your rankings and traffic (for a period of time), before the change and compare it with the same period of time (in terms of duration), after the change. Monitor your rankings and traffic and give it enough time before taking further decisions. Last but not least, in your path to become an SEO expert, you will face a number of difficulties. There will be times when you will be disappointed, frustrated and ready to give up.Don’t worry, this is normal to happen. If you read the stories of other people you will understand that none of them became what they are today because they are lucky. It’s the result of hard work and endless hours of testing and reading about SEO. The list below includes 5 SEO experts you definitely need to follow for inspiration and for understanding how SEO can be applied in scale. All 5 have managed to build multi-million businesses and they managed to do it because they know how to use SEO correctly. Read their stories and spend some time analyzing their SEO practices. You may find that sometimes they do things differently than ‘traditional’ SEOs and this is because they have the confidence and expertise to try new things and experiment with SEO without being afraid to fail. Neil Patel –One of the most respected SEO Experts in the industry. Don’t just read his blog but try to analyze his practices and how he managed to use content SEO in scale. Brain Dean –He is the expert in link building. His blog is a great resource for case studies and techniques you can use to get fast results. Eric Enge –Speaker, Founder and CEO of Stone Temple. An SEO with years of experience in the industry. Joost de Valk –Founder and CEO of Yoast, the most popular SEO plugin. Rand Fishkin –Co-Founder of MOZ, great presenter and entrepreneur. Everyone that has anything to do with a website or online business should become an SEO expert.The list includes marketing managers, developers, webmasters, web designers, social media managers, PPC experts, solo entrepreneurs and ecommerce owners.Why? Because SEO is at the base of all digital marketing campaigns. SEO principles will not only guarantee the maximum possible exposure in search engines but they can help a website in more ways. Becoming an SEO Expert is not easy but it’s not difficult either. The process includes a lot of reading, practicing and testing.If you are starting out now, the best way is to take a good SEO course so that you have all information in one place, use the right SEO tools and above all start practicing SEO. Learn from your mistakes and try again.Search engines and SEO are here to stay for years to come and this is the best investment you can make for your business and personal skills.